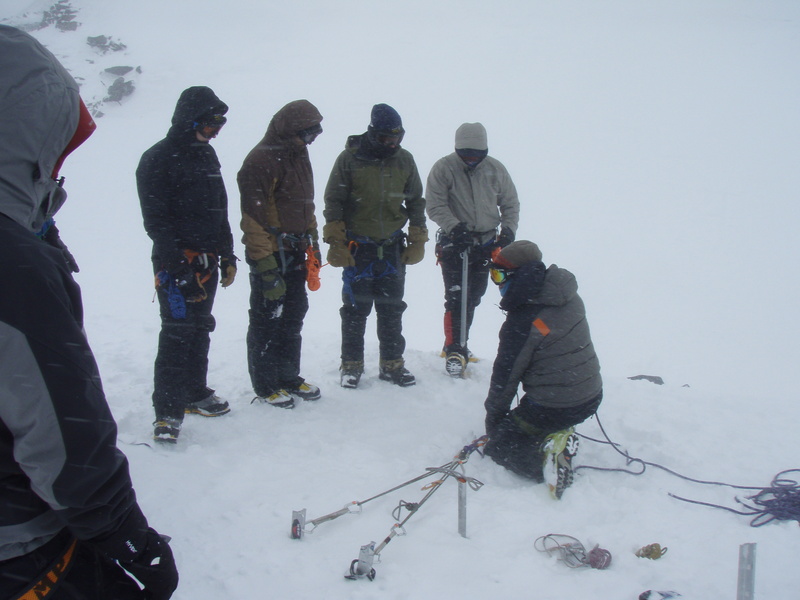 We have two new openings on the 3.5 Day DC Summit Climb! 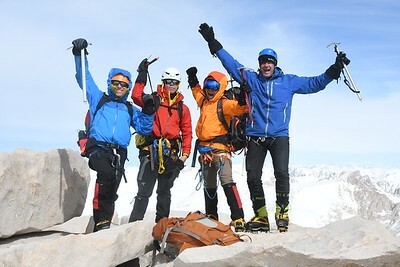 Email your application packet to office@mountainguides.com today! 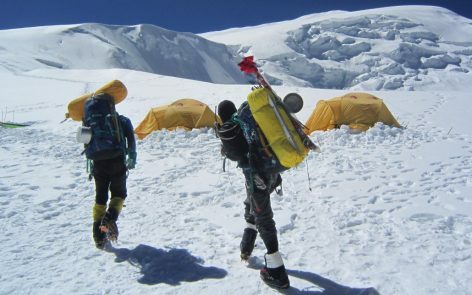 If you’ve been following IMG’s current Himalayan season and it has you itching to climb a big mountain yourself, you should seriously consider our Putha Hiunchuli Expedition this September 16 – October 18! We first climbed 23,773′ Putha Hiunchuli (POO-ta hoo-en-CHOO-lee) in 2017 and are excited to return to this remote mountain in the Dhaulagiri Range this autumn. Email office@mountainguides.com for more info! We still have availability on this summer’s mountaineering courses! Take one at a time or take them on consecutive days. 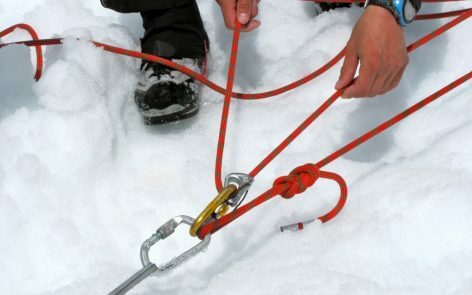 Either way, you’ll be a better mountaineer and safer climbing partner when you’re done! To sign up, just complete and submit your application packet to office@mountainguides.com! 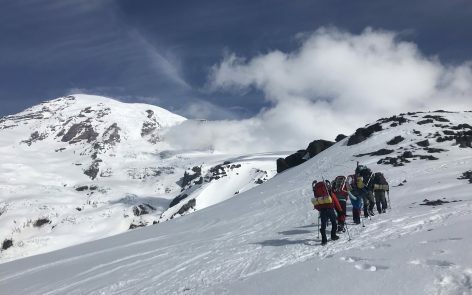 It’s hard to believe we are less than two weeks away from our first Rainier climb of the season! Our dedicated office staff has been busy since September processing applications and answering gear questions and now it’s time for all of their hard work to come to fruition. 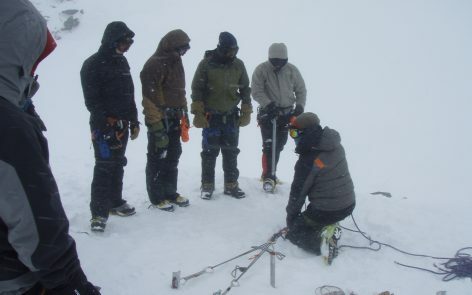 But before we turn our full attention to climbing the mountain, we must first tend to the task of guide training. 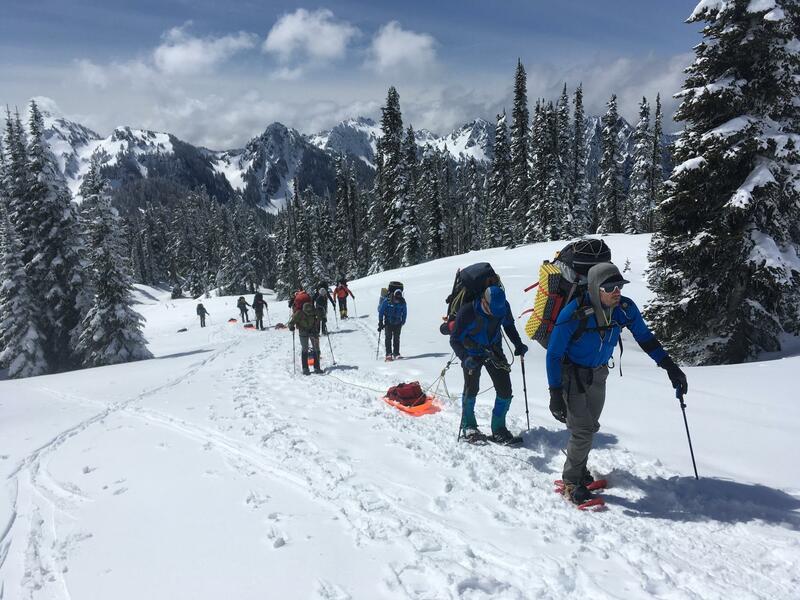 Every spring, veteran guides and new guide candidates meet at IMG HQ in Ashford, WA for orientation, a BBQ, and training. This year’s turnout was the biggest yet and we were fortunate to have excellent weather both days. I asked IMG Guide, Rowan Stewart, what he enjoyed most and he said, “The highlight of the weekend for me was the training day at Paradise on Sunday. We had the opportunity to practice rescue skills, work on in the field problem solving, and absorb information from the knowledgeable senior staff of IMG”. There was certainly no shortage of knowledgeable senior staff. On Saturday, we had Emily Johnston, MD present her “Doc Talk”, followed by hands-on technical training with Jason Edwards, Andy Polloczek, and Jonathan Schrock. 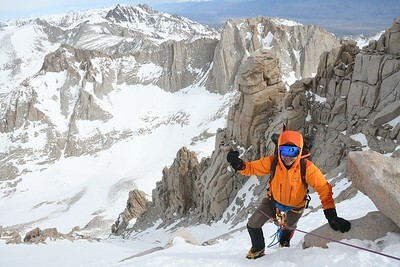 Emily, Andy, and Jonathan will all be guiding on Denali this summer before stints on Rainier, in the Alps, and on Elbrus. IMG’s world-class guide staff is the best in the business. 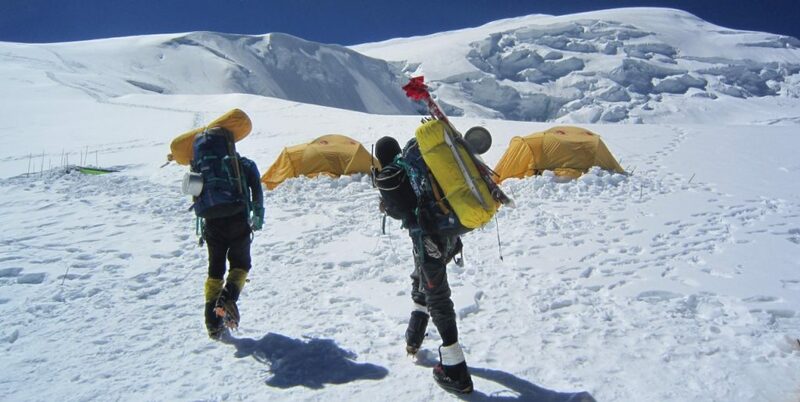 Join them on guided treks, climbs, and mountaineering expeditions all around the world! 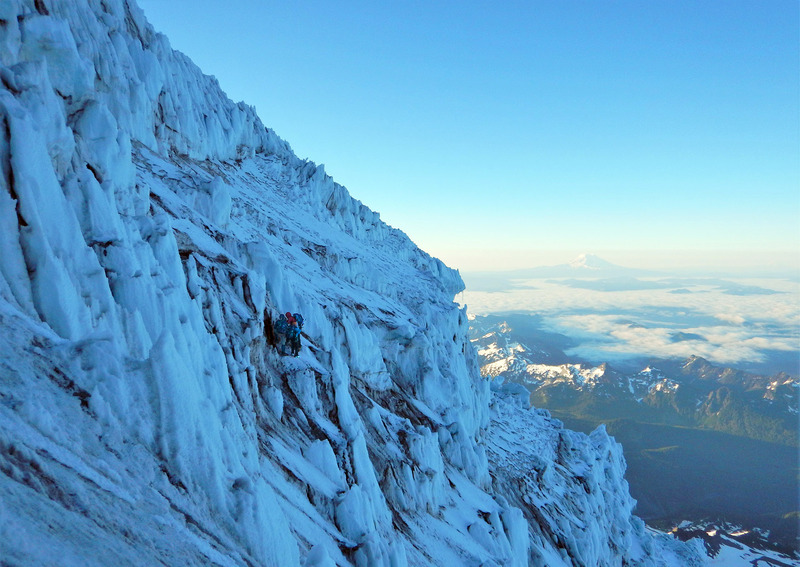 If you are planning a glacier climb in the Cascades this summer, you and your teammates will need the requisite crevasse rescue skills. 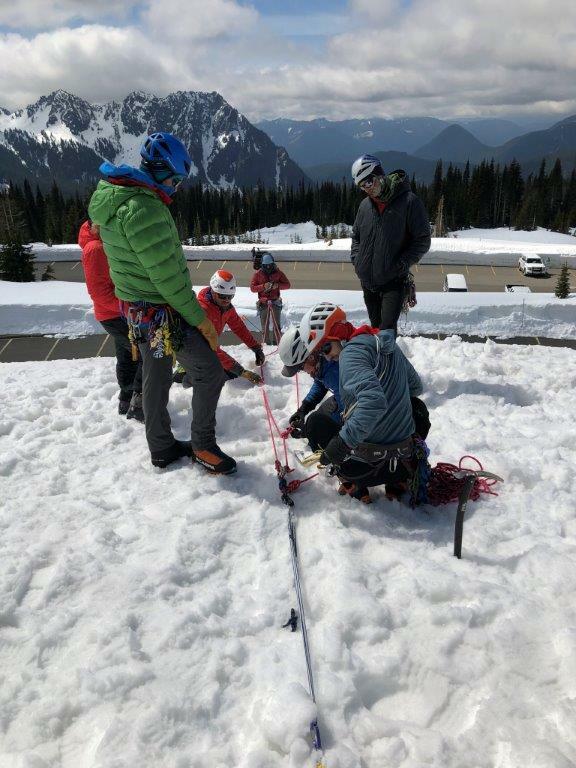 IMG’s two day Crevasse Rescue School is the perfect place to learn the knots, anchors, and systems that are mandatory for any mountain climber. 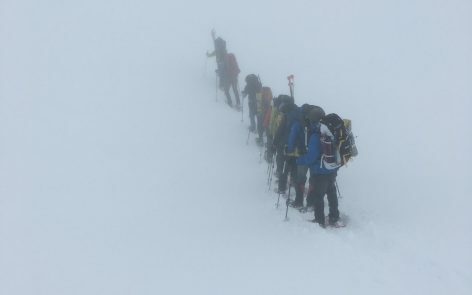 Don’t leave it to chance in the mountains, climb prepared! Email office@mountainguides.com or submit your application packet now. 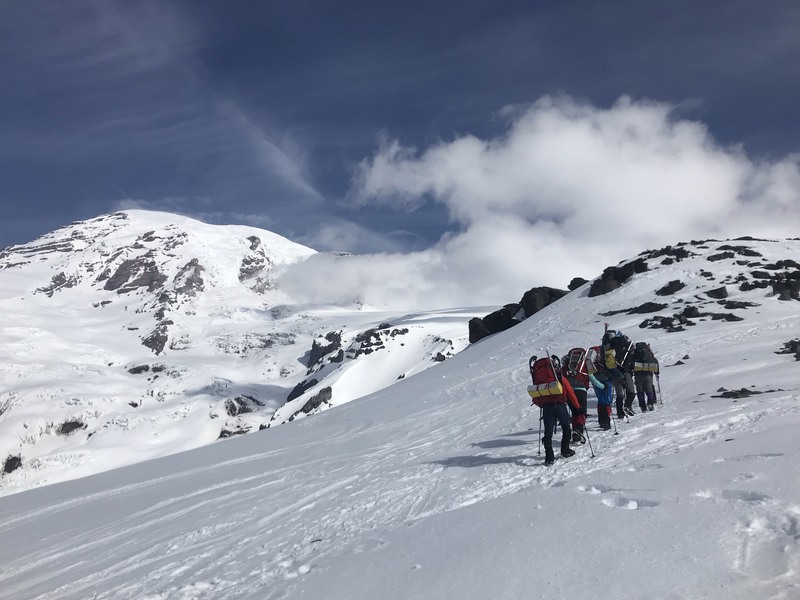 Our 5th Denali Prep Seminar of 2019 made the trip up to Camp Muir yesterday after spending two days and nights working on their expedition camping skills at the 6,200′ Marmot Hill Camp. 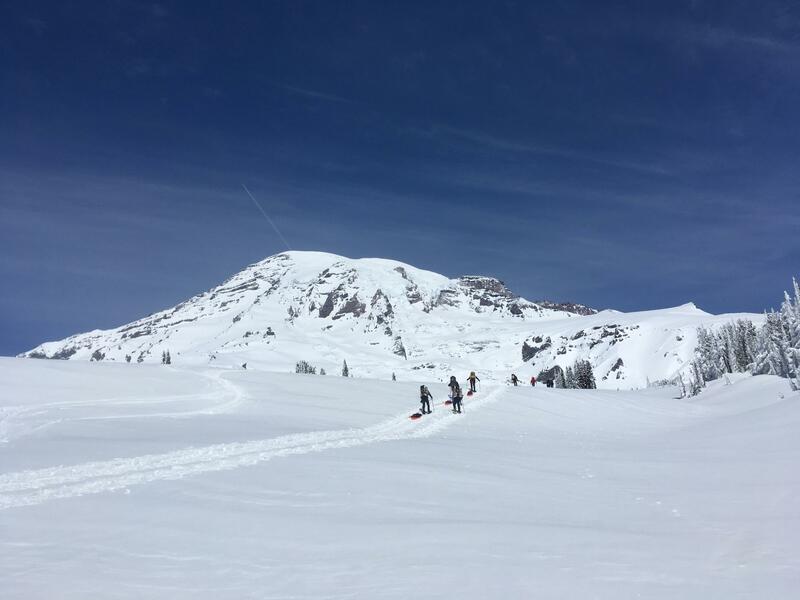 They had blue skies and sunshine for their sled hauling day out of Paradise, but the weather has since turned. 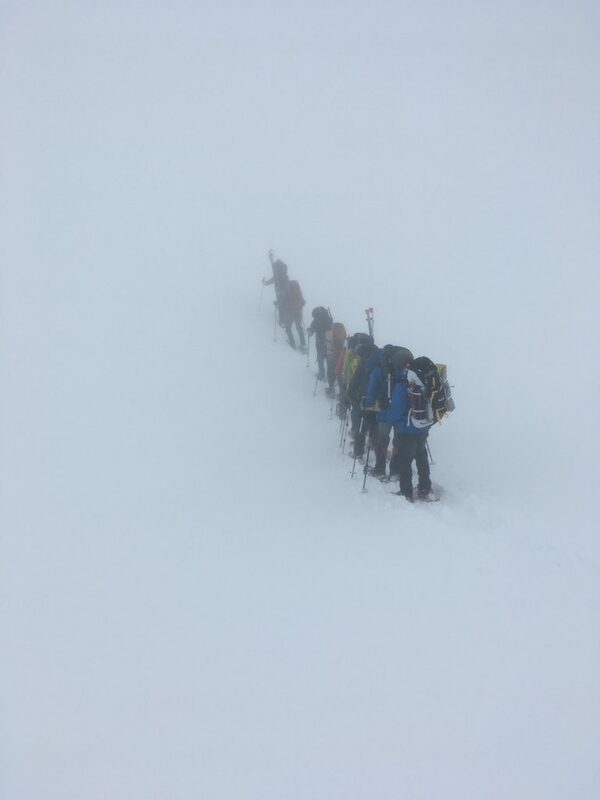 Lead Guide, Andy Polloczek, called in this morning and reported the team was “socked in” at Muir and won’t be traveling. We still have one spot left on our 6th and final seminar of the season April 27 – May 3! Email office@mountainguides.com for details! 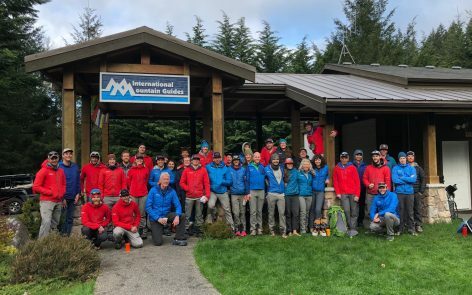 IMG has been teaming up with local REI stores in Washington for a 90 minute seminar on “How to Prep for Mt. 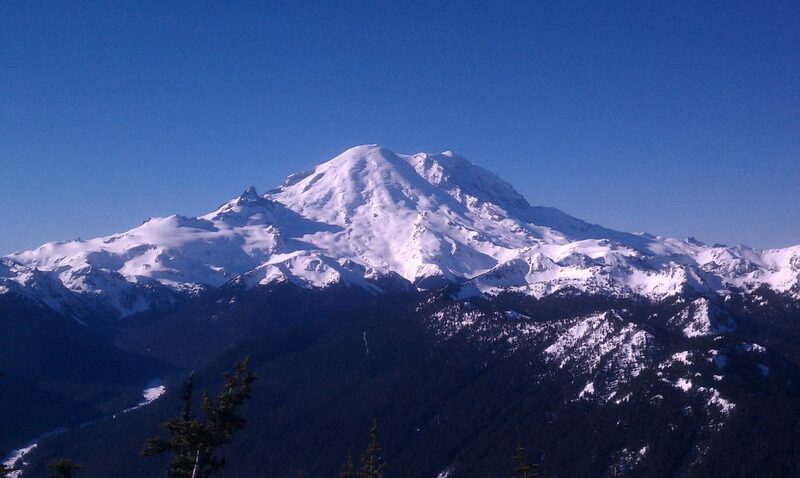 Rainier”. So far, we’ve had a great turn out and have been excited to see many new faces. The seminar reviews popular climbing routes (DC, Emmons, Kautz) and how to train mentally and physically for a climb. 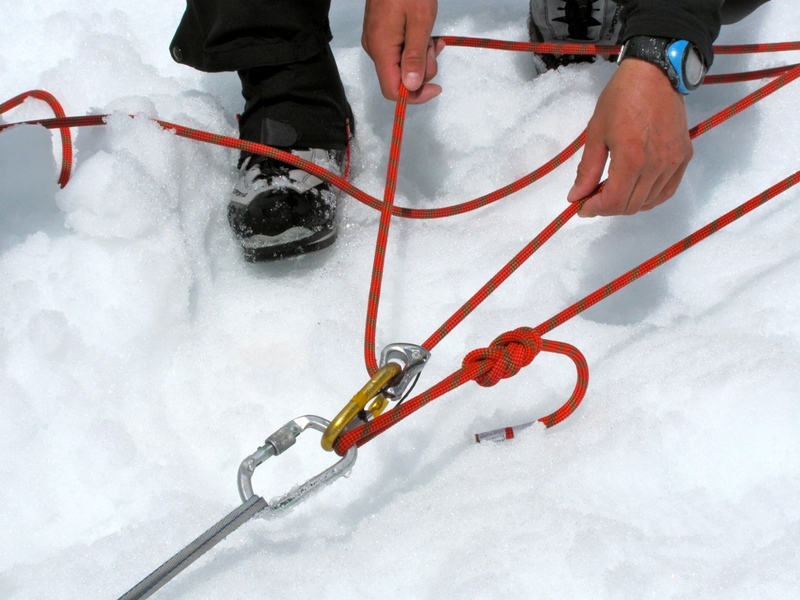 We also highlight key considerations for climbing independently, choosing a guide service, and acquiring the necessary gear. 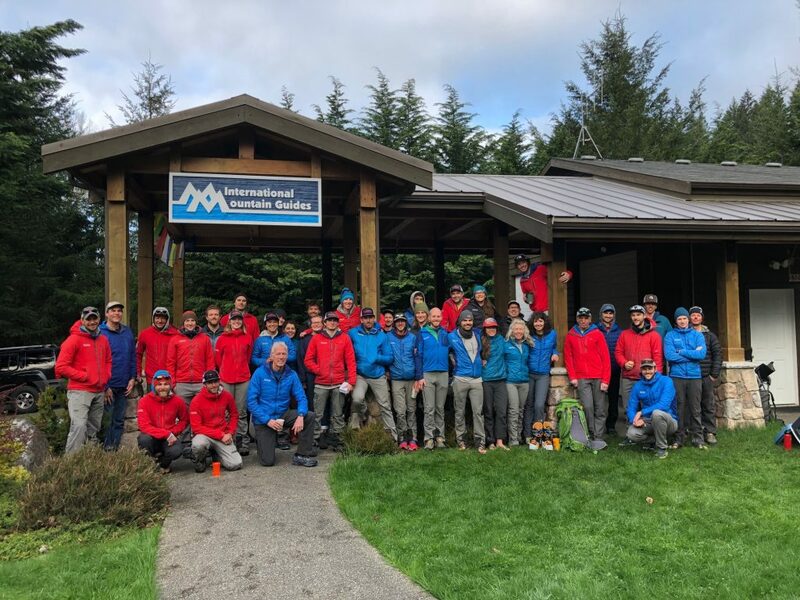 If you haven’t made it to one yet, you won’t want to miss out on seeing IMG Guide, Patrick Mauro, at REI Seattle on April 24th @ 6:30PM for the last seminar of the season! 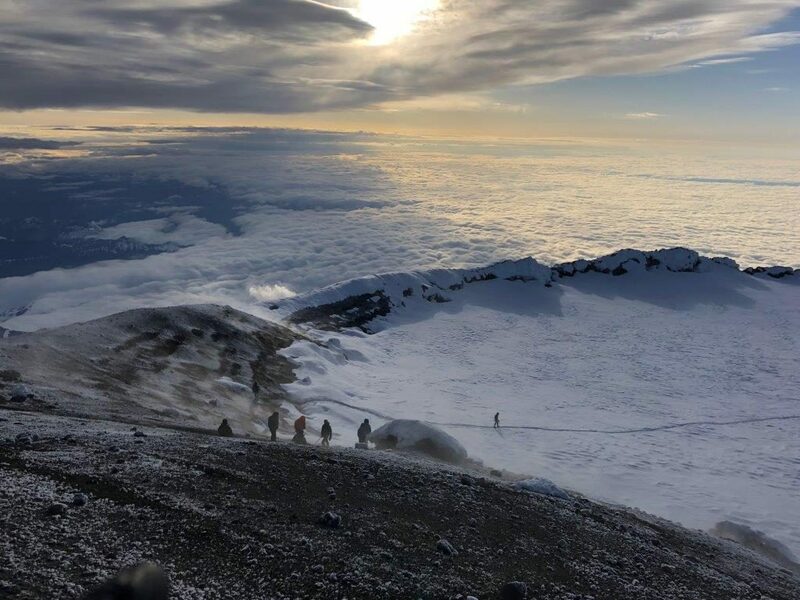 If you are physically fit and can carry a 50lb pack uphill for several thousand feet but are still a beginner mountaineer, take a look at the 4.5 Day Emmons Climb! We currently have one opening on the June 15-19 trip. If you are physically fit and can carry a 50lb pack uphill for several thousand feet on very steep terrain and have the requisite experience for an intermediate route, take a look at our 5.5 Day Kautz Climb! We currently have one opening on our July 7-12 trip. 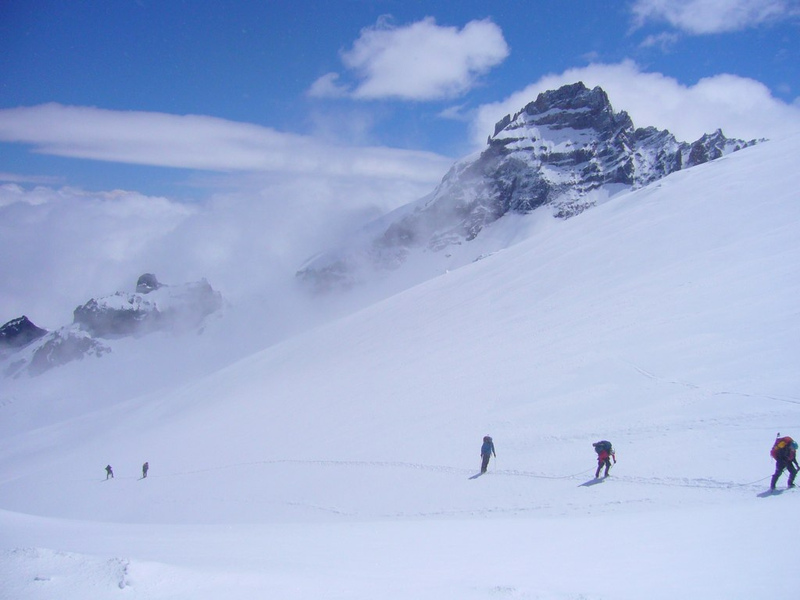 Both glaciers are off the beaten path and require teams to be self-sufficient. 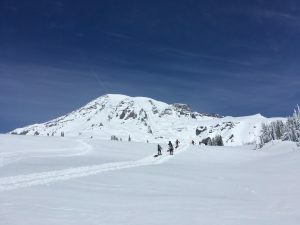 This can be a welcome escape on a mountain that sees as many visitors as Rainier does every year! Call the IMG office at 360-569-2609 or email office@mountainguides.com for more information. These spots won’t last!